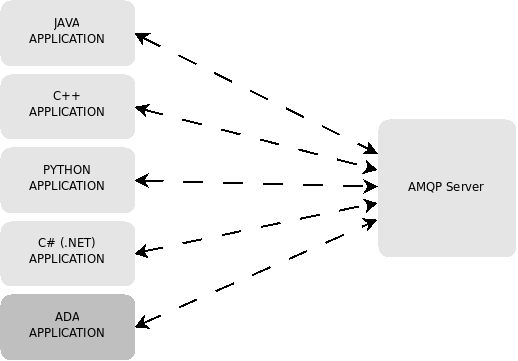 The Advanced Message Queuing Protocol (AMQP) is an open standard for an interoperable asynchronous messaging protocol. The Ada Binding to AMQP allows applications built on top of it to be distributed over heterogeneous environments. In this sense, it increases the interoperability, portability, and flexibility of such applications. In this paper, we propose an Ada binding to AMQP. This binding has been implemented using Apache Qpid, an open-source implementation of the AMQP standard.